Again, I am no expert when it comes to hand embroidery. Heck, I’ve barely gotten the machine embroidery down. Learning to hand embroider takes a feel for knowing where your needle is at all times. Once you are able to seamlessly stitch without looking at the front and back of your fabric, it becomes so easy! After I learned some of the basics, I wanted to learn more. I NEEDED to learn more. It’s become a sort of addiction. And since I can’t have Mandy sitting over my shoulder telling me how to do different stitches, I had to learn on my own. 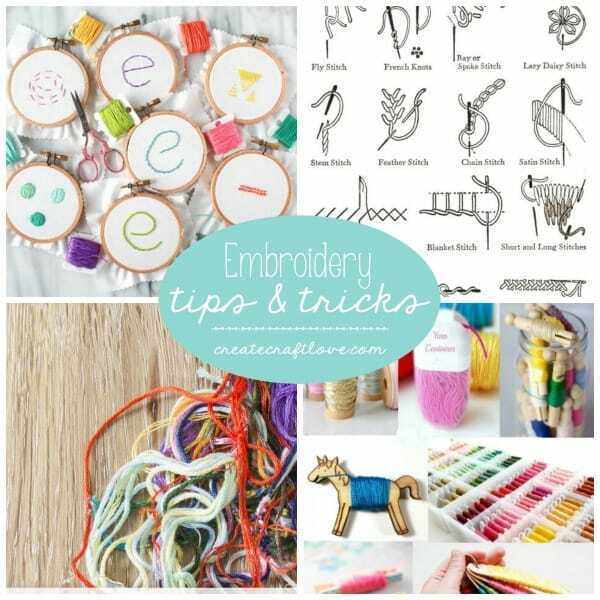 Here are my favorite resources for some simple Embroidery Tips and Tricks! To access a specific post in the gallery, click the title of the post which will open a new window with the instructions for that project. Think that’s enough to get you started? 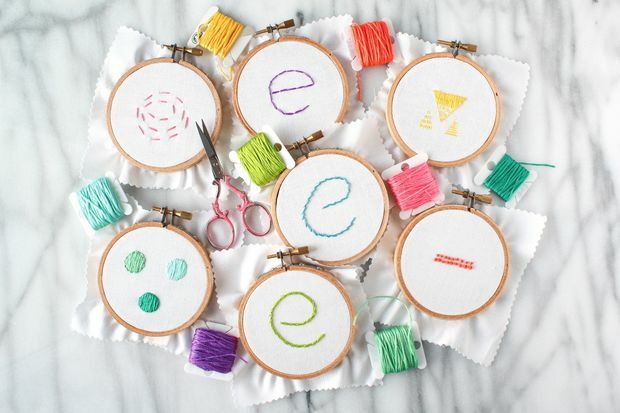 If you are looking for some basic patterns, check out my Spring Embroidery Hoop Art! These patterns are available for free! Simply follow the download instructions. Share this image of our Embroidery Tips and Tricks on Facebook!